This 8mm tungsten carbide wedding band is domed with high polish sides and satin finish center. 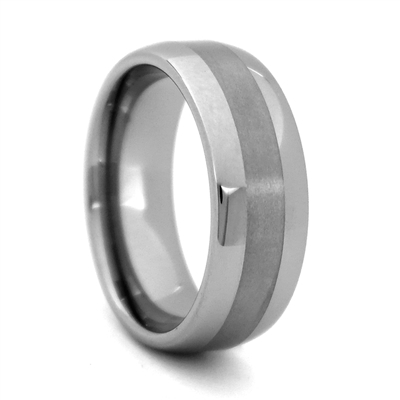 Timeless design in scratch resistant tungsten carbide is wonderful choice for those who are used to or prefer traditional style. Match it with Ladies SR7 for a His & Her set.